Board index ‹ Roller Coaster Games ‹ NoLimits Coaster 2 ‹ NoLimits Coaster 2 Scripting ‹ Attacting script to 3cs custom train? How do I attach the a custom script to custom 3d trains on a coaster with its trains hidden with "hide wireframe"? Re: Attacting script to 3cs custom train? Select the unfrozen coaster (the hidden one) in the Coaster tab. 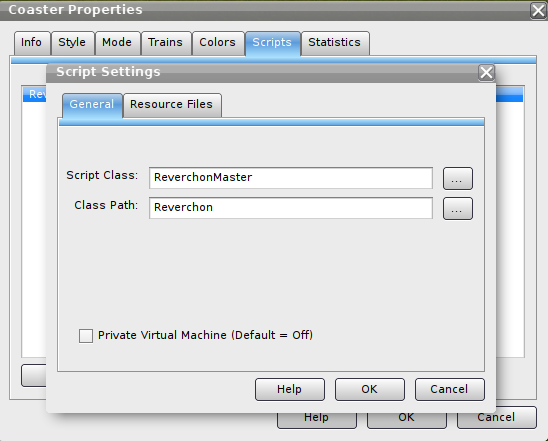 Then go to Coaster properties -> Script -> Add. I think the physics are a bit wonky??? I'm working on that, but keep in mind those cars are not designed to do loops. The package has been updated on steam. This should be fixed. The trains do not show up when i go to the simulator. They are visible in the editor. ^^^ Loopy Loops and... Twisty Twists! Think that I'll shout those terms! Where did you guys get the download link for this custom car?